Kenya is the birthplace of the safari and offers a host of accommodation options ranging from the exclusive and romantic to large and family friendly. Kenya, long associated with the famed Masai Mara, is endowed with world heritage sites, rich culture, striking geographical diversity and landscapes including beautiful beaches, grassy game reserves, and compelling archaeological sites, from the high points of Mount Kenya to the lowlands of the Rift Valley. Several Kenyan parks are among the best in Africa to see wildlife and the country is a particularly good option for those wanting to effortlessly combine a safari with a beach holiday. 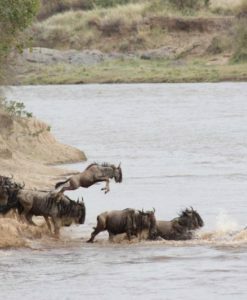 The Maasai Mara, famous for the Great Migration of Thompson’s gazelle, wildebeest, and zebra, offers the archetypal East African safari experience. 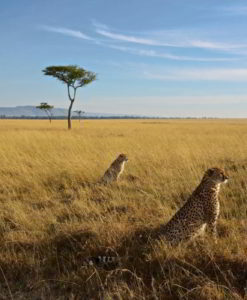 The Maasai Mara National Reserve borders Tanzania’s Serengeti and together they comprise the setting for the migration. There are plenty of child-friendly options for a great Maasai Mara family safari. 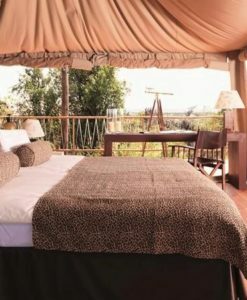 There are also exclusive lodges in tucked-away locations to present couples with the perfect Maasai Mara honeymoon. Amboseli National Park offers exceptional game viewing and is known as the best destination to get up close to free-ranging elephants. The park also provides excellent views of the iconic Mount Kilimanjaro. Amboseli is largely open, grassy plains, which makes for easy game viewing and fantastic photo opportunities. One of Kenya’s greatest secrets is its unspoiled beaches embracing the warm Indian Ocean. Visitors tend not to think of Kenya as a beach destination, rather veering toward locations like Mauritius, Cape Town, Zanzibar, and Mozambique, but Kenya possesses fantastic and less commercial alternatives of pristine beaches and Indian Ocean islands. 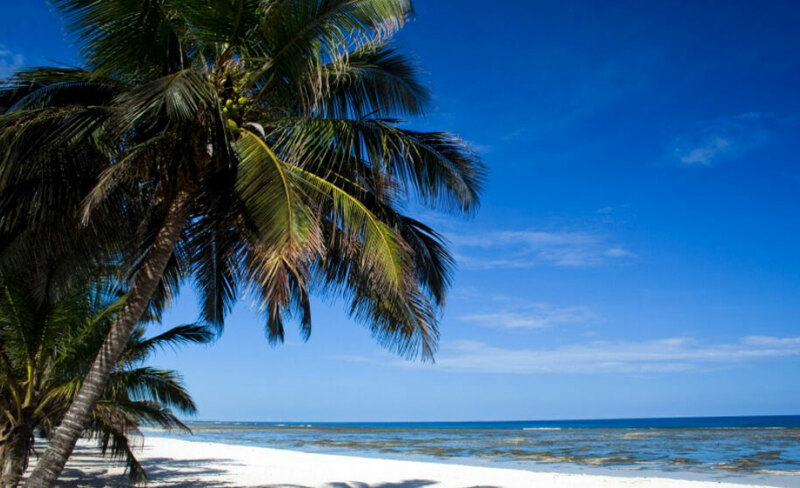 Diani Beach is a true ambassador for ultimate beach destinations and lies just 30 kilometers south of Mombasa, making it easy and convenient to reach. The beach stretches for 10 kilometers and is known for its beautiful coral reefs, bright blue water, and the black and white Colobus monkeys. The Kenyan Beaches compete with some of the best beaches in the Indian Ocean. They feature powdery white sand, cerulean water, and quality resorts and hotels. Kenya’s beaches are lined with protective coral reefs, making them great for snorkeling and diving. The Kenyan coast is a staggering 536 kilometers (333 Miles) of private bays, remote islands, lagoons, coral atolls, and mangrove forests. Beach resorts range from the secluded and isolated to the busier ones near restaurants, pubs, and clubs. Lamu Island features more fantastic beaches and one of the oldest living Swahili settlements in East Africa. The island is, as yet, largely passed over by mass tourism, so its appeal lies in its unspoiled environment and simplicity. Lamu is accessible by boat, but visitors should note that there are no roads on the island and thus few cars or other motorized vehicles, so getting around on foot is the way to go. The Gedi Ruins in Malindi are worth a visit for archaeological buffs. The lost city of Gedi is an archaeological mystery, whose inhabitants and ultimate abandonment is still puzzling researchers. The ruins date as far back as the 12th century and contain elaborate mansions, mosques, and tombs that indicate a complex and sophisticated Swahili settlement. No one is sure what happened to the civilization that lived here, or why they abandoned Gedi in the 17th century. Part of local folklore, the ghostly city is a fascinating place to tour, with excellent guides and a museum.